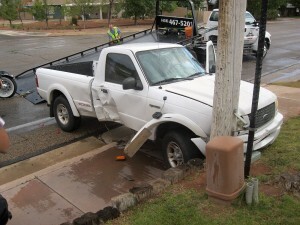 ST. GEORGE — Rain and slick roads were contributing factors in an accident at 750 North and Valley View Drive in St. George Thursday afternoon, when a motorcyclist hit a pickup truck that had lost control. The woman driving the pickup truck was heading east at about 5:50 p.m., attempting to enter northbound traffic on Valley View Drive from 750 North, when she lost control and spun out, St. George Police Sgt. Rich Triplett said. A motorcycle heading south on Valley View struck the truck on its passenger door, Triplett said, and the truck crashed. 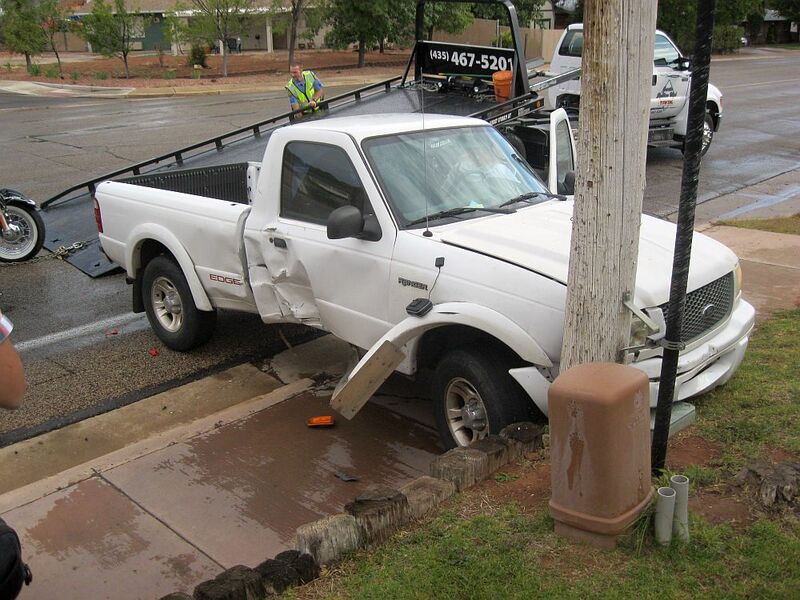 The truck narrowly missed a power pole and became hung up on posts lining the sidewalk. 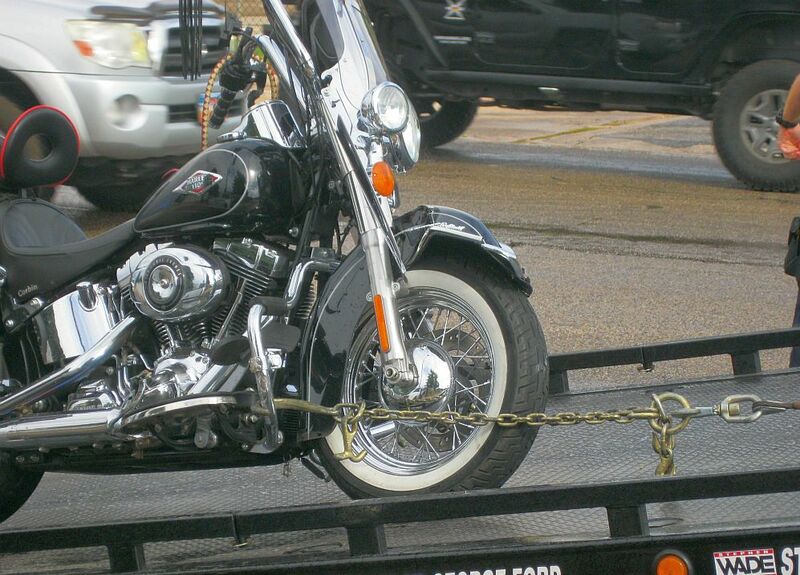 The motorcycle rider was wearing a helmet and leathers, Triplett said. He emerged from the accident relatively unscathed but complained of back pain and was transported to Dixie Regional Medical Center by ambulance. The driver of the truck was unhurt, Triplett said. She was issued a citation for failure to yield.